of course! I meant to say so... but forgot. Thanks Jimmy! A train rockets across Eastern Europe. On board are agent Kristoff (internation action superstar Jean-Claude Van Damme) and Galina (Laura Elena Harring, John Q. ), a beautiful high-tech thief. Holding the passengers hostage are a band of terrorists who have come to steal the bioweapon hidden on board. With the train out of control and on a collision course for danger, Kristoff becomes a one-man army taking on the terrorists and trying to save the ives of everyone on board. OK... I woke up this morning feeling a little down and missing my mother. It has been about 6 months since she passed away now. Because of this... this morning I felt like watching something I new she would have enjoyed watching. And one of her favorite movie genres was Martial Arts. So I went into her collection of movies (now mine)... and I picked this one. I picked it for two reasons. First because I never seen it before. And also because my mother absolutely loved Van Damme movies. The first thing I noticed when I started this movie is that it was full framed. I found this weird and looked at the case to see it says it has both. I knew it was only a single sided disc... so I thought I missed the selection. So I stopped it and restarted it. And it was hard to find... usually I see this either when I hit play or before the menu. But on this disc it is actually in the set-up menu. While this makes sense... I think it is actually the first time I seen it done this way. The movie itself is OK... but definitely not one of his best I just didn't find the storyline all that interesting... and it seems pretty much like if you seen one Van Damme movie... you basically seen them all. I mean sure.. there is some exceptions of movies of his that I really enjoyed. But it seems a lot of his newer stuff has been sub-par lately. After watching this movie... I thought back to when my mother watched this one... and I now remember when I asked her what she thought of the movie... she kinda gave me a funny looking face and said "ehhhh, it was OK I guess". I wish I remembered that earlier... I would have picked something else I got from her collection. Once again the peace of Amity and the lives of the Brody family are shattered by a bloodthirsty shark in this suspense-packed sequel to the original classic chiller. Lorraine Gray reprises her role as the now widowed Ellen Brody who finds herself reliving the horrors of the past when a mammoth shark kills her son. 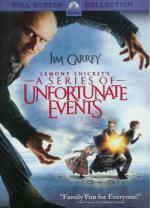 Grief-stricken, she travels to the Bahamas to be with her other son, a marine biologist (Lance Guest), and his family. There she meets and falls for a carefree airplane pilot (Michael Caine). But just as she is putting her life back together, the nightmare of the past returns when her granddaughter is attacked by an all-too-familiar Great White. Determined to end the terror once and for all, Ellen sets out for a showdown to the death. The action and tension build rapidly to a shattering climax in this, the most incredible Jaws adventure of them all. And this time, it's personal! I figured after buying this out of the Walmart Bargain Bin 6 years ago that it was about time I watched it. Problem is.... after buying it I heard that it really sucked. Oh well at least I go into it with low expectations. While I wouldn't say it is a terrible movie.... there is a lot of room for improvement here! This movie has Michael Caine in it. And to me he has always been a mixed bag... some things I like him in and others I don't. In this case I didn't like him all that much. But of course in this case it could be the material he had to work with. I think in this case it was too much of the slow boring stuff and not enough of the action. I mean if the story was half as interesting as the first Jaws then it wouldn't have been as bad... but it just wasn't. I have never actually watched Jaws: The Revenge...I must admit I have avoided it due to its reputation. I have heard about it, though. I recall there was a big continuity error here...Michael Caine comes out of the water and a few seconds later is seen in completely dry clothes. Also, he bowed out of appearing at the Oscars (I think he actually won as I recall) so he could continue working on this pile of dreck. Big mistake! This movie has Michael Caine in it. And to me he has always been a mixed bag... some things I like him in and others I don't. Yeah... that sounds like it pretty much explains it! This is the first time I ever seen this one. Sitting here still trying to decide exactly what I think of this one. I definitely liked it. But I do think it could have been better. Especially towards the beginning of the movie. But as it went on it did get better. It is a decent story with a few laughs. I would have liked to seen a little more comedy in it though. I liked both Drew Barrymore and David Arquette in it. The guy that played the teacher... Michael Vartan... I knew I seen him in something before but just couldn't place it. After the movie I checked what else I had with him. And sure enough... I knew him from the TV Series Alias. I should have recognized him at first sight... but it has been a while since I watched that show. My brother downloaded this movie to watch with Brittany (I don't normally like to do this but he always does it)... since it was a very good copy and I been anxious to see this one I had him send it over to my computer last night. Especially after Brittany giving it a full 5 star rating yesterday. Sure... the title can put you off... and maybe it would have been better to make it a movie of it's own instead of making it a remake of The Karate Kid. But I can easily look past that and enjoy it for what it is. I thought Jackie Chan as Mr. Han was great. It did seem he played this one a little more seriously. But that is a good thing... the role called for it. If there was a character I didn't care for... I would have to say it was Dre's mother. She seemed a little out there to me personally. But I even liked her too... just my least favorite of the main characters. Over-all it is a good, entertaining movie that I look forward to eventually add to my collection. hopefully sooner rather then later. I imagine it will get a good special edition treatment. At least I hope so. If you enjoy movies filled with singing rabbits, exploding spaceships, or cheerleaders, you are holding the wrong DVD entirely. This movie is extremely alarming, an expression which here means " a thrilling misadventure involing three ingenious orphans and a villainous actor named Count Olaf (Carey) who wants their enormous fortune." It includes a suspicious fire, delious pasta, Jim Carey, poorly behaved leaches, an incredibly deadly viper, Meryl Streep, and the voices of an imposter named Jude Law. The only things that could make such a spectacle more upsetting are special features, such as commentary by me or outtakes involving nervous laughter. I am bound to continue my research into the lives of the Baudelaire orphans, but you are free to seek lighter fare, like blue cheese fondue. This is a movie Brittany came home with a couple years ago. She got it out of the Walmart Bargain Bin. The first thing I noticed is that she got the Full Screen version. And here I thought I taught her better then that! I found this movie to be more weird then entertaining. The only few chuckles that I did get from it was from the subtitles of what the baby was saying/thinking. But for the most part I just found it a little hard to sit through without falling asleep sitting up in my chair. I am afraid this is just not my type of movie. But Brittany wanted me to watch it with her... so I did. Though it is not something I see myself watching again. Scooby-Doo and the Mystery, Inc. gang are in for a creepy encounter with a monstrous monster from Mexico in the mucho spooky, all-new Scooby-Doo movie! The gang heads south of the border for some well-earned rest and relaxation, but there's trouble in the town of Veracruz, where tourists are being frightened away by a terrifying creature who is ten feet tall, with huge, green-glowing eyes! When Scooby-Doo and the gang discover that their friend may have to sell his hotel because of the creature, things get even more mysterious. 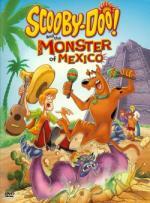 Scooby-Doo, Shaggy and the gang must then tangle with everything from giant feathered serpents to ghoulish ghosts, as they race to solve this Mexican mystery before the creature of Veracruz can strike again! First time I ever seen this one. I know I was in the middle of my Sandra Bullock movie marathon... but how could I say no when Britt asked me to watch a movie with her? This one definitely has some laughs in it. So I thought it was pretty good. Definitely worth checking out! Join Nicolas Cage on a heart-pounding adventure that will have you on the edge of your seat in a race to find the Lost City of Gold. Grounded in history, imbued with myth and mystery, Disney's National Treasure: Book Of Secrets takes you on a globe-trotting quest full of adrenaline-pumping twists and turns — all leading to the final clue in a mysterious and highly guarded book containing centuries of secrets. But there's only one way to find it — Ben Gates must kidnap the President. Packed with fast-paced action and crackling humor, National Treasure: Book Of Secrets is a movie your entire family will want to rediscover again and again. A year or so ago I saw the first part on cable... and enjoyed it. This is the first time I ever seen part 2. And I enjoyed this one just as much as the first one. It is very entertaining. I like how they put together all the clues and puzzles. I also enjoyed the entire main cast... thought they all did a good job. Now I just need to get part 1 in my collection and I will be all set. Cool, I've been meaning to look into National Treasure. Maybe when you get part 1. Though, I feel like I'm living the adventure trying to get through your room. Which bring me to one of the reasons why I came here. Talk some sense into my dad. My friend has a long list of random thoughts on her profile at a site, one of which I believe should be in my father's signature. I am on a quest to the deepest, darkest corners of my room in search of what some would call "a floor" - a long and difficult task awaits me. Wish me luck my friends for I may not return alive. Two BMX expert bikers and a friend of theirs (Nicole Kidman) become entangled with a group of bank robbers after discovering a carton of walkie-talkies. When I found out my friend was sending me this movie in a box of DVDs I was pretty excited. Not only because it is an early role of Nicole Kidman of who I really enjoy. But also because when I was a teen I was big into riding my BMX bike all over town with my friends. Of course not to the extent of these kids.. but it still brought back some fond memories. As soon as I pop it in the first thing I noticed is that the DVD itself is a bit lacking. No extras on the disc what so ever. When you pop in the disc you only have 2 options... Play Movie and Scene Selection. Then I started the movie... and the quality... while not terrible... I mean it is watchable... but it it did feel like I was watching a fairly old VHS copy of the movie. I imagine they just used an old VHS master to make this release. The movie itself was entertaining... I enjoyed it. I found it to just be a fun movie. The kids were great on the bikes... makes me wonder how much was actually them riding. I be especially interested in how much of the actual bike riding Nicole Kidman actually did. Of course most the trick riding was shot from the back or close up shots of the bike itself.. so I imagine not so much of it was actually them. I just wish this movie got a better DVD release then what it did.